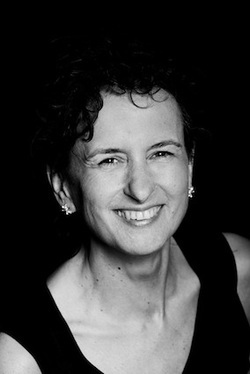 Dominique Hoff, in parallel with studies in philosophy at Paris-Sorbonne, studied music at the Schola Cantorum and at the Ecole Normale de Musique de Paris (piano, viola, singing, music theory, chamber music, harmony, music history). She also holds a university degree of Musician as Intervener (composition, improvisation, staging concerts, creating shows) of Paris-Orsay University. She then chose to specialize in opera singing with Viorica Cortez and Maurice Brach and follows master classes with Barbara Bonney, Peter Schreier, Régine Crespin, Dietrich Henschel or June Anderson. Dominique Hoff is also a storyteller and actress. Michel Hindenoch and Catherine Zarcate guided his steps in the art of storytelling, after initial training at Maison du Conte (European Federation of storytelling - FEST) and Clio (Contemporary Conservatory of oral literature). As an actress, she reveals herself in the theater class of Véronique Nordey. In 2006, she initiates the projet "Limons d'or": for ten years, Dominique Hoff has attracted both music lovers and new audiences by linking the art of melody and lied, the poetry set to music and traditional tale in shows with sober and touching stagings. She was able to offer the public Schubert's Winterreise or Schöne Müllerin but also a show about the life of the contralto Kathleen Ferrier, and a few forays into the worlds of Italian bel canto or French melody. Wolf: Selected lieder from Italienisches Liederbuch and others.